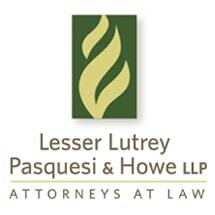 Since 1996, the attorneys at Lesser Lutrey Pasquesi & Howe, LLP have handled a variety of sophisticated and complex estate planning and litigation concerns for clients throughout the North Shore and Greater Chicago area. Our extensive experience, not only in developing complex estate plans and wealth transfer strategies, but also in litigating disputes in these areas, sets us apart from a number of firms in Greater Chicago. We invite you to contact us to schedule a consultation where we can review your situation and recommend an effective course of action.